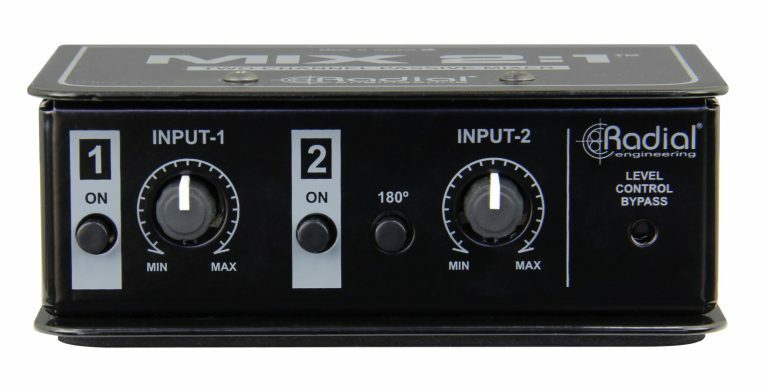 Sets the amount of attenuation applied to each input. Used to invert the polarity on Input-2, to correct for cancellation when summing out-of-phase signals. 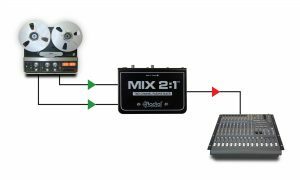 Set & forget switch bypasses the level controls on inputs 1 and 2. 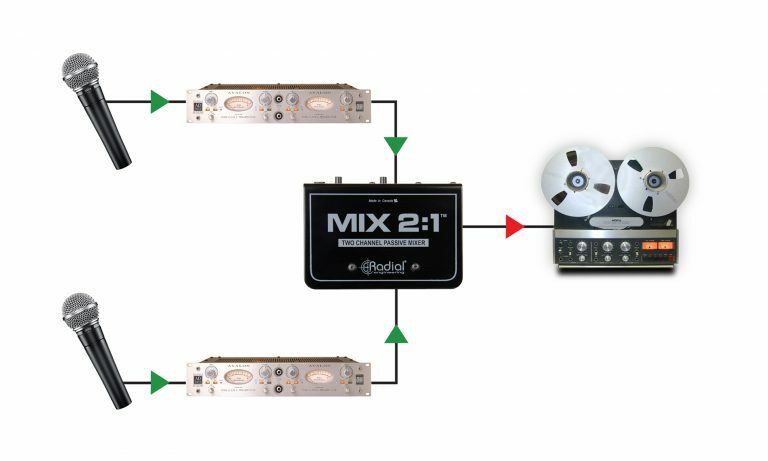 When this switch is engaged both inputs are summed together equally. 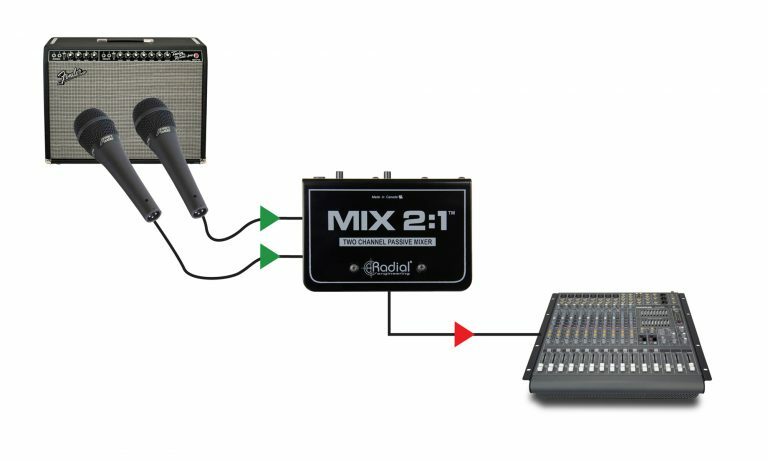 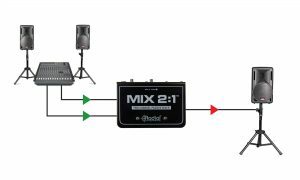 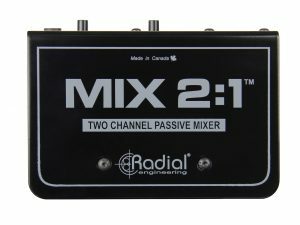 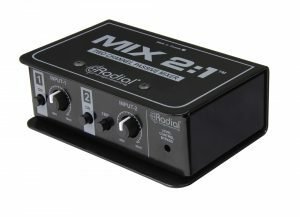 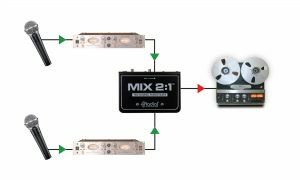 Mono XLR output is balanced to feed a powered speaker, mixing console, or a recording interface. 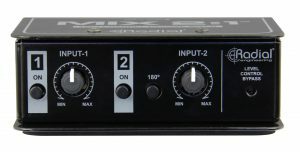 TRS ¼” or XLR connectors are available for inputs 1 and 2. 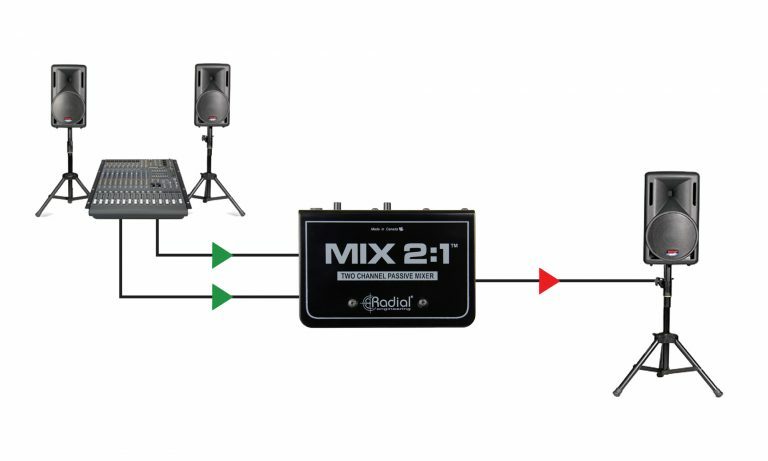 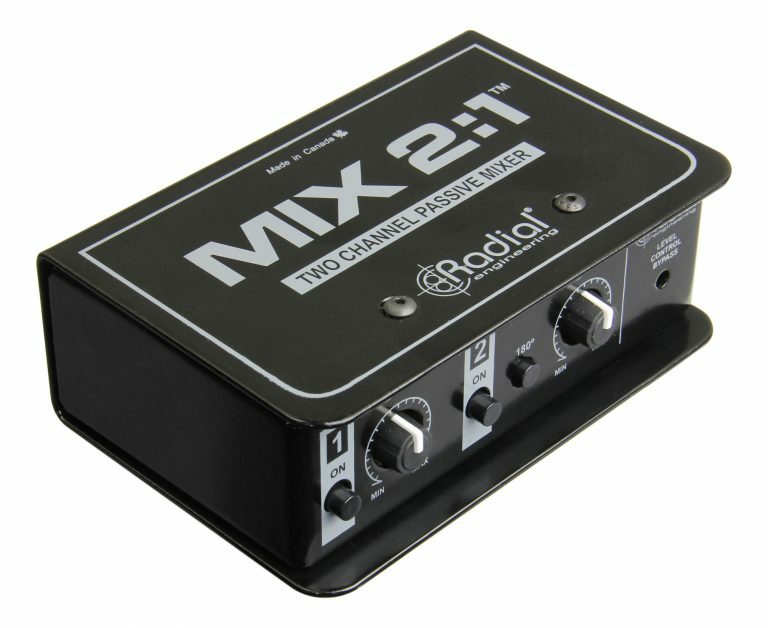 Lifts the audio ground path on the XLR and ¼” inputs to reduce buzz and hum from ground loops.